THE ICELAND CONCERT – NORDIC DESIGN VOL. 1. Dette er det første album af serien Nordic Design. Albummet er indspillet på Island af den islandske pianist Eythor Gunnarson, den svenske basist Thommy Andersson og den danske saxofonist Benjamin Koppel. 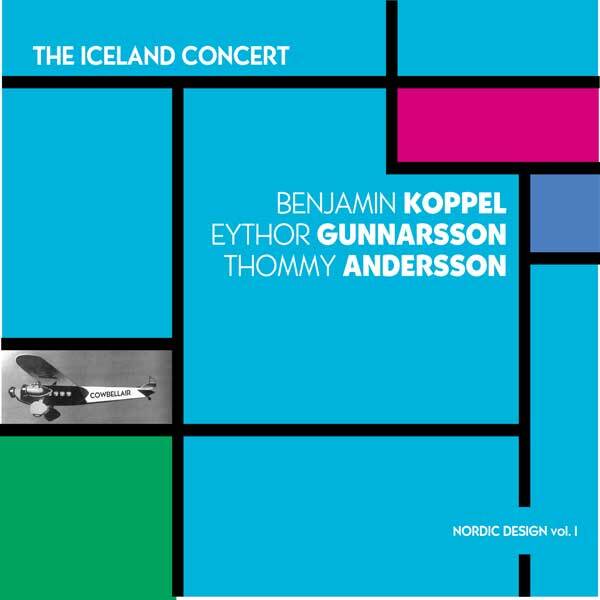 THE ICELAND CONCERT – NORDIC DESIGN VOL. 1. This is the first release of the Nordic Design series. The album has been recorded on Iceland by the icelandic pianist Eythor Gunnarson, the swedish bassplayer Thommy Andersson and the danish saxophoneplayer Benjamin Koppel.